Which 2019 Dodge Challenger SRT Hellcat is Right for you? Any American muscle car enthusiast will know the key features when it comes to the 2019 Challenger, however, there seems to be some confusion around the more precise details of the 2019 Hellcat Challenger lineup. For the 2019 model year, the Dodge Challenger is offered in both Hellcat and Hellcat Redeye form. A new hood design on the Hellcat allows for increased airflow, offering a whopping 717 horsepower, while the Redeye boasts an incredible 797 horsepower thanks to its large supercharger upgrade. The above-mentioned 717-horsepower Hellcat features a standard body design, with the Widebody option still available. Unlike popular belief, the Widebody option is not reserved for the Hellcat Redeye only. Speaking of the Redeye, it too comes in standard form, but many buyers opt for the Widebody package in order to allow more room for tires. There’s more to picking a Challenger Hellcat than basic pricing – starting MSRP including destination fee is $62,190, power numbers and Widebody options. Let’s start with the basic concept of process of elimination: buyers interested in a manual gearbox can only opt for the Challenger Hellcat. The Redeye does not offer a manual gearbox at all, making this choice an easy one. There are two categories for those seriously shopping for a 2019 Dodge Challenger with a supercharged V8. Go big or go even bigger – the Hellcat comes with an impressive 717 horsepower, while the Hellcat Redeye takes it up a notch with 797 horsepower. This is, of course, another subjective choice, even though when given the chance pretty much every prospective buyer would opt for more power. Is the difference between the two horsepower figures that influential? Only if the buyer is going to really use that extra power on the drag strip or is concerned about bragging rights for owning an almost 800 horsepower beast, then the Redeye is an easy choice. There are two categories when it comes to the width, just like there were two categories when it came to power earlier. 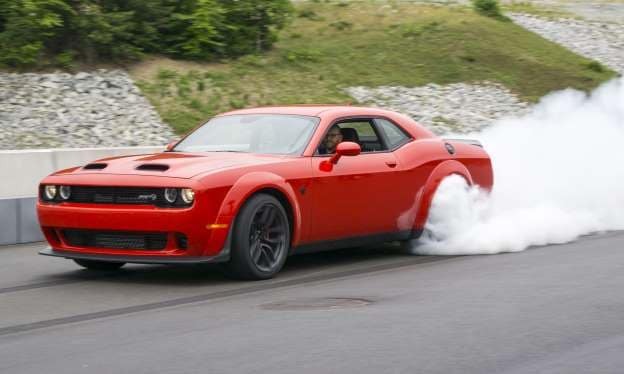 There’s only one advantage between the standard Challenger Hellcat and Hellcat Redeye versus the same vehicles equipped with the Widebody Package: wider tires will have the room to fit comfortably inside of the body when the Widebody Package is chosen. Instead of having a car with tires that stick out like those of a hefty pickup truck, owners of the Challenger Hellcat and Hellcat Redeye Widebody can enjoy a vehicle equipped for wider tires thanks to its design. Those interested in burning rubber and setting records should definitely take this package into consideration. 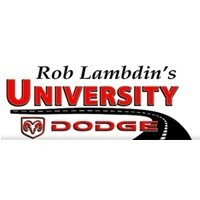 Explore the 2019 Challenger inventory at University Dodge and schedule your test drive today! 0 comment(s) so far on Which 2019 Dodge Challenger SRT Hellcat is Right for you?